Every year on the third Monday of January, the United States celebrates Martin Luther King Jr. Day. An American federal holiday, the day marks the anniversary of King’s birthday on January 15, 1929. A Baptist minister and activist who led a ground-breaking civil rights movement during the 1950s and 1960s, King’s advocacy of nonviolence and civil disobedience was inspired by that of Mahatma Gandhi. Assassinated on April 4, 1968, at the age of just 39, King’s words and life continue to be a source of inspiration for millions today. Born in Atlanta, Georgia, to a father who was a Baptist pastor and a mother who played a significant role in the local church, King attended segregated public schools and graduated from high school at the age of 15. He went on to receive a B.A. in sociology in 1948 from Morehouse College, a distinguished African American institution in Atlanta from which both his father and grandfather had graduated; a B.D. in 1951 following three years of theological study at Crozer Theological Seminary in Pennsylvania; and a doctorate from Boston University in 1955. By 1954 King was a member of the executive committee of the National Association for the Advancement of Colored People (NAACP), a civil rights organization formed in 1909 to advance justice for African Americans. In December 1955 he accepted the leadership of the so-called ‘bus boycott’, the first large-scale demonstration against segregation in the United States. During the 382 days the campaign lasted, King was arrested and subject to personal abuse, his family received threatening phone calls, and his house was bombed. But these experiences ultimately became the making of him. On December 21, 1956, the Supreme Court of the United States finally declared that laws requiring segregation on buses were unconstitutional. From then on, all American citizens, regardless of their color, were able to ride the buses as equals. King went on to expand the nonviolent civil rights movement throughout the American south and his fame increased exponentially. In 1957 he was elected president of the Southern Christian Leadership Conference. 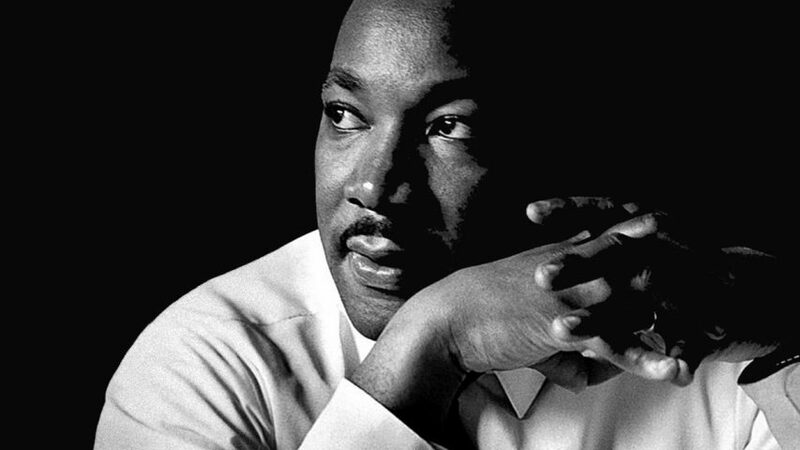 An organization formed to provide leadership for the growing civil rights movement, King’s ideals for it were strongly inspired by Christianity. He drew its operational methods from those of Gandhi. King believed that all people can share in the wealth of the Earth. As he saw it, hunger and homelessness will not be tolerated because international standards of human decency will not allow it. He was convinced that racism and all forms of discrimination, bigotry and prejudice will ultimately be replaced by an all-inclusive spirit of sisterhood and brotherhood, and that international disputes will be resolved not through military power but by peaceful conflict-resolution and the reconciliation of adversaries. 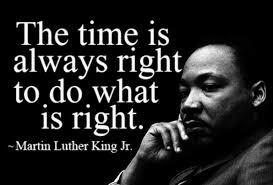 Today, this inspiring philosophy continues to be promoted by the King Center. Founded in 1968 by his wife, Coretta Scott King, the center is based in his home city of Atlanta, Georgia. Between 1957 and 1968, King travelled over six million miles and gave around 2,500 speeches in public. By now, he had become a hero for African Americans and had millions of citizens, of all colors and creeds, following him. 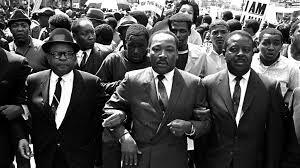 Wherever there was an outcry of injustice, King was there to protest and take action. Later that same year, King delivered what was to become his most famous speech. Given at the end of a march on Washington, D.C., in which over 250,000 people took part, he called for civil and economic rights and an end to racism in the United States. 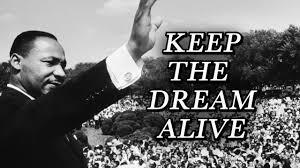 Known as the ‘I Have a Dream’ speech, it is seen by many as one of the most revered orations in the English language. Time magazine subsequently named him its ‘Man of the Year’ for 1963. At the age of 35, Martin Luther King Jr. became the youngest person to ever be awarded the Nobel Peace Prize. 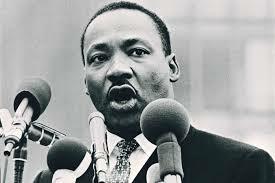 He subsequently donated the $54,123 prize money to the furtherance of the civil rights movement. By 1967, the recipient of numerous honorary degrees from colleges and universities, King seemed to have the world at his feet. 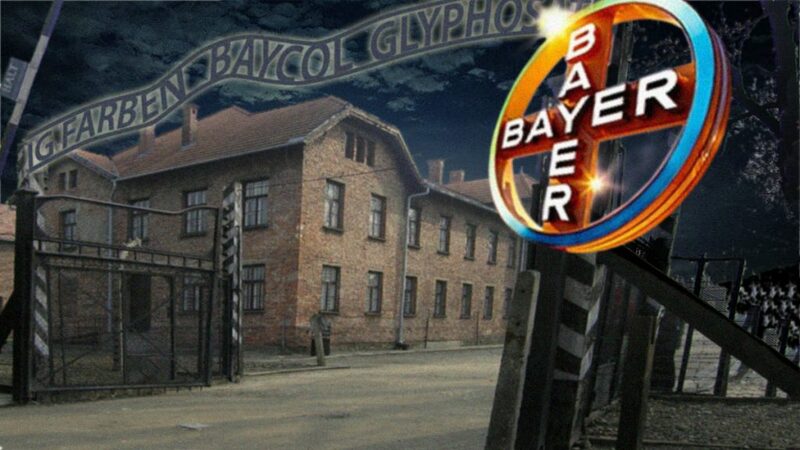 But on the evening of April 4, 1968, tragedy struck. 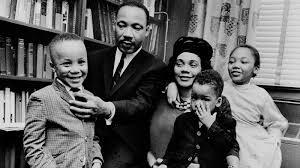 While standing on the balcony of his motel room in Memphis, Tennessee, where he was to lead a protest march in sympathy with striking garbage workers, King was shot by a gunman. Despite emergency surgery, he died an hour later. Following his death, the United States became consumed in what has been described as the greatest wave of social unrest it had experienced since its Civil War. A measure of the extent to which the American authorities resisted King’s demands for civil rights during his lifetime can be seen in the fact that he was placed under surveillance by the FBI, NSA, and CIA. Notably, his surveillance and wiretapping by the FBI came at the specific orders of its then director, J. Edgar Hoover, with the deliberate intent to undermine his growing influence. So desperate was Hoover to stop King that one of his FBI deputies, William Sullivan, apparently even sent an anonymous letter in which he essentially instructed the activist to kill himself. As the modern-day ‘Black Lives Matter’ movement reminds us, the battle for equality and civil rights is yet to be fully won. 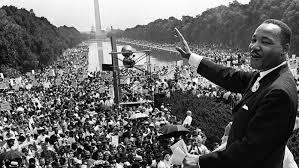 But without any doubt, the life and legacy of Martin Luther King Jr., arguably its greatest advocate, will continue to be an inspiration for millions of people for generations to come.